Students at a YFU seminar from Germany, Thailand, Argentina, Estonia and Bulgaria! Every year on March 21, the world joins together to commemorate the International Day for the Elimination of Racial Discrimination. On this day in 1960, police in the town of Sharpeville, South Africa, opened fire and killed 69 people peacefully demonstrating against the apartheid "pass laws". In 1966, the United Nations General Assembly created the day of commemoration, and called upon the international community to redouble its efforts to eliminate all forms of racial discrimination. Youth For Understanding was originally formed as a way to promote global understanding and acceptance amongst young people. In 1951, 75 German teenagers travelled to the United States to live with American families in an effort to heal the wounds of WWII. YFU founder, Dr. Rachel Anderson, soon came to realize that through sending teenagers to live and study abroad they could build bridges between nations, and that this was exactly what the world needed. 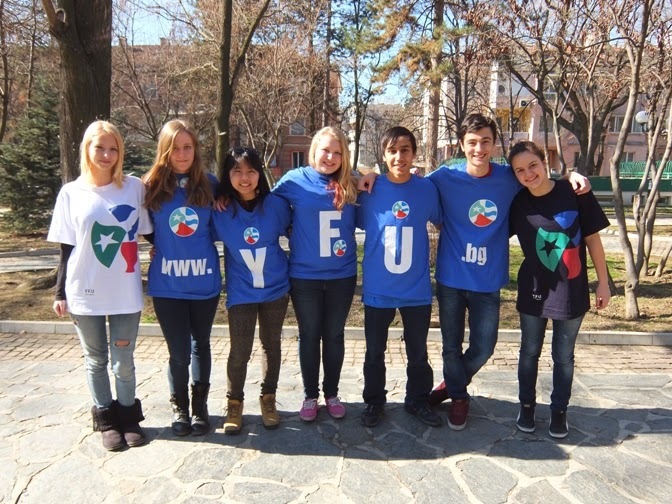 Today, YFU’s mission is to help students to gain the skills they need to become global citizens. Going on a student exchange opens up a whole world of opportunities, and YFU students will be equipped with the perspectives necessary to face challenges in our global community. Most importantly, YFU exchanges promote acceptance and tolerance between nations and communities and aims at eliminating racial discrimination in our multicultural society. You can read more about the background of the International Day for the Elimination of Racial Discrimination here. We at YFU Bulgaria encourage you to think about what you can do to fight racism in your local community, and join us in striving for a world without racial discrimination as you commemorate today.